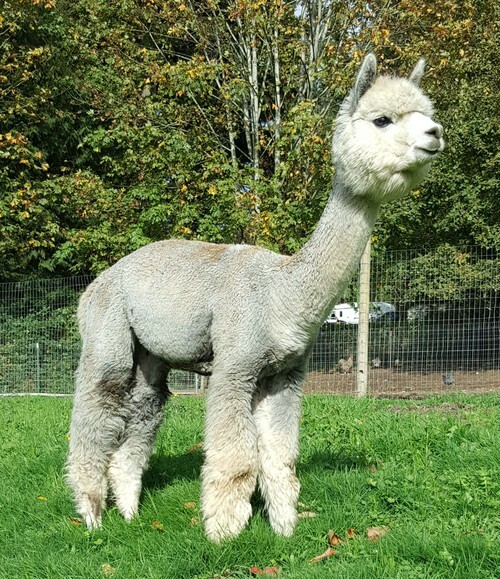 Openherd: Snow Mountain Alpacas is a farm located in Port Orchard, Washington owned by Suzanne Thomas. 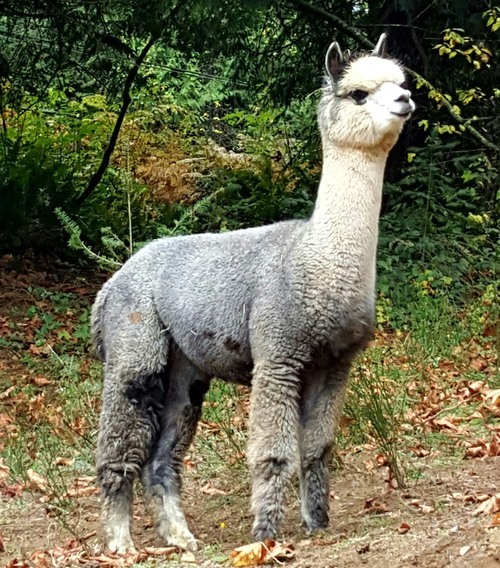 We are located in Port Orchard, Washington, raising Huacaya alpacas for their luxuriously fine fleece. 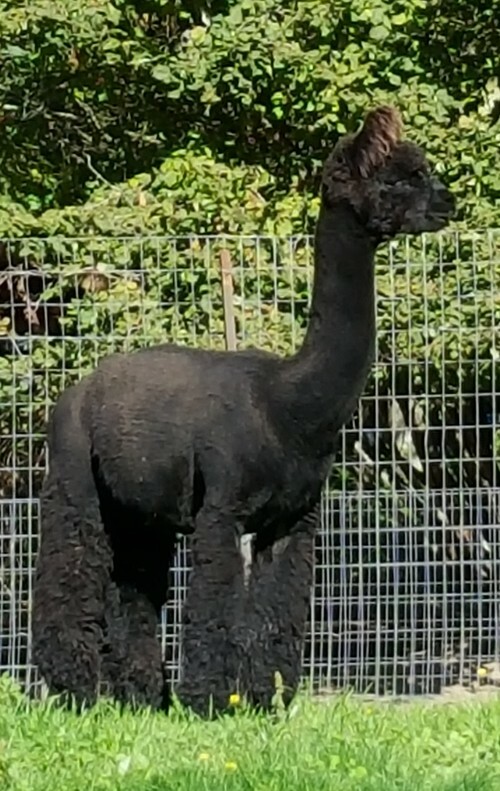 We are seed-stock producers and primarily raise healthy and structurally sound alpacas, with a continued emphasis on improving upon our fiber structure, handle and micron with each breeding; and we continue to reduce our fiber micron (fineness) and retain lingering fineness with each successive breeding. Our need and desire to bring a change of lifestyle into our lives brought us to the world of alpacas. This lifestyle change was not necessarily to reduce our workload, but more importantly and definitively to provide a less stressful and far more enjoyable life for ourselves. One of the best side effects of the alpaca lifestyle is the close-knit community of alpaca breeders and the incredible relationships we have attained through this industry. These bloodlines fare from the Peruvian Accoyo, Alianza, Machaccoyoc, Cchonchatanca, Plantel, and Antacalla regions. We have well represented Bolivian and Chilean bloodlines as well. 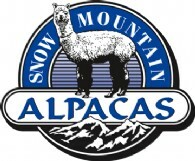 We offer a wide variety of alpaca products from raw fiber to finished clothing. We provide roving and batts for spinners, yarns for those that knit, crochet and weave. Clothing, socks, blankets, rugs and alpaca toys for those wishing a finished product, and “alpaca tea” and compost for the gardeners. We are here to assist our customers and associates by offering farm planning advice, mentorship in the care of your alpacas, sales of quality alpacas, agistment (boarding) and exceptional herd sires (with mobile and drive-by breedings). 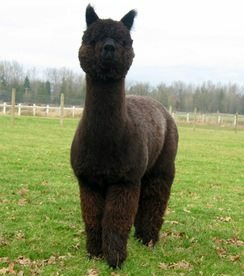 Come for a visit and Find Your Passions Elevated in Alpacas! 25% down and equal monthly payments thereafter for a mutually agreed upon length of time. We can work with you on other financing options as well. For auctions, financing terms must be agreed upon prior to end of auction. Buyer pays all CVI and transport costs. We also offer free agistment (boarding) for the first 6 months after purchase, so you can buy now and still get your farm ready. Call today and let's talk about YOUR needs and desires and how we can help you purchase your alpacas! It's time to reduce the herd size. Having closed on the new property, it is now time to put in some serious work on the property, including pastures, which can't be fully completed with the large herd in residence. I'm making deals, so take advantage of this opportunity to grow or start your herd and help me reduce my herd!